Alexey Shor talks to Anna Marie Galea about how he got into music and the creative process that has gained him the admiration of music lovers the world over. With his pieces being played by the finest contemporary musicians in many of the most prestigious concert halls in the world, Alexey Shor needs no introduction. Alexey happened to be in Malta last year to take part in the Malta International Music Festival, and I grabbed the opportunity to interview him over a chat. “I got into the music scene late in life. Everyone in my family is a scientist and so, from a young age, I would read books about Mathematics. Alexey became a full-time mathematician and says that is what he did till the age of 40, when his work was brought to light by David Aaron Carpenter. “Till the age of 40, I had always composed pieces for my own enjoyment, but when David started playing them as encore pieces in all his concerts, people started to sit up and take notice,” he says. Eventually, a YouTube video was put up, showing Carpenter playing one of Alexey’s pieces. The video racked up thousands of views. The composer says that moment cemented his future. But the transition from mathematician to composer was not an immediate one and, in fact, Alexey juggled both for a while. He explains that you have to keep in mind that both maths and music are solitary activities which required his full concentration. 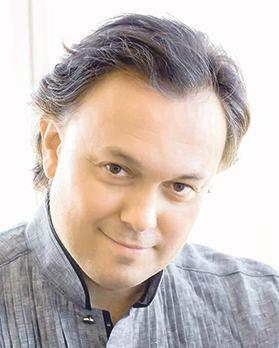 Known for his compositions for specific instruments, Shor has had several of his pieces included in last year’s Malta International Music Festival programme. How does it feel to hear the musicians’ interpretations of his work? Surely, one cannot have a conversation with a famous composer without asking him who his own favourite composer is. “It has to be Bach. I can’t give any technical reason for it. There are other composers, however, none of them sound as heart achingly beautiful as him. When you hear Bach’s music it’s as if it was written by the hands of God Himself,” the composer concludes.